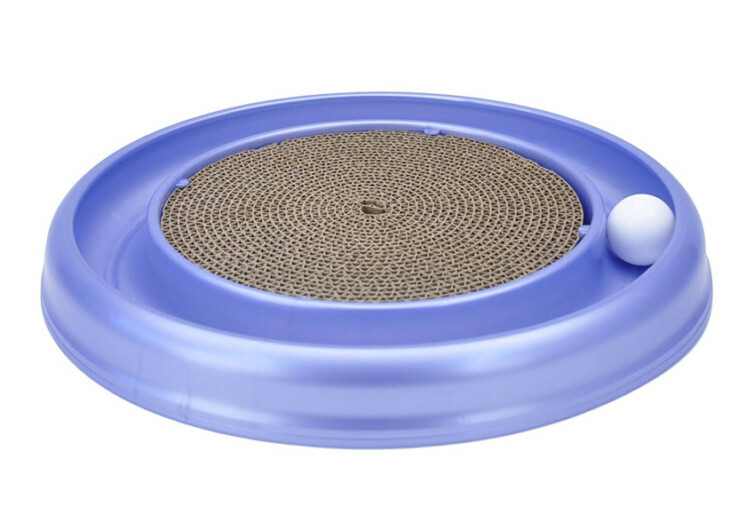 Integrating two important feline articles into one ingenious solution, the Bergan Turbo Scratcher provides an interesting way to address your pet’s need to both scratch and play. It is a rather simple solution that helps enhance feline cognition and protects household furniture from cat scratches. The Bergan comes with a simple design, a shallow circular pan with a channel in the perimeter. The central portion of the Bergan houses corrugated cardboard that has been coiled to create a series of rings. This section is what gives the Bergan its cat scratcher functionality. As your cat sinks its claws into the corrugated cardboard, it is able to remove debris and dead skin cells from its paw pads. The same mechanism helps anchor the cat’s legs to a point, allowing it to stretch its body to the hilt. The channel on the perimeter of the Bergan is just the right size to accommodate a small ball which your cat can nudge with either its paws or nose, running the ball along the channel. 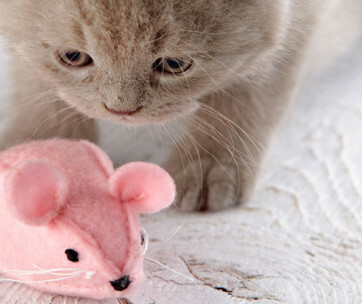 The design relies on the predatory instincts of cats. As the ball moves this further stimulates the cat’s innate instincts to pounce on the ball. 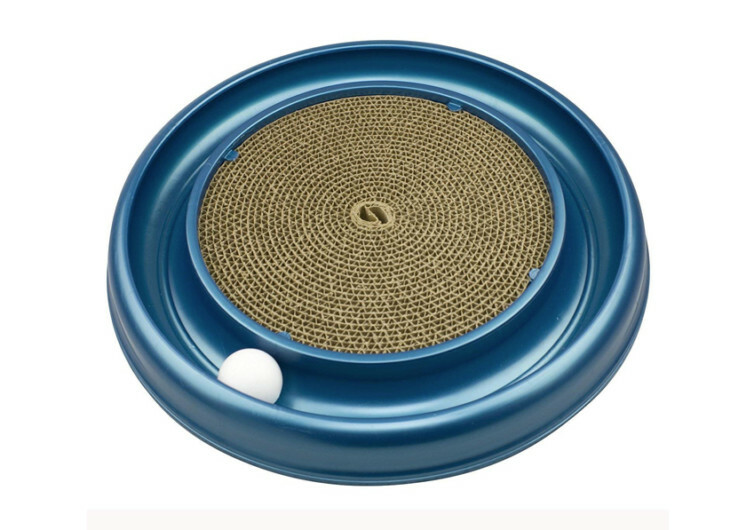 Unfortunately, the more your cat pounces on the ball, the more it runs. 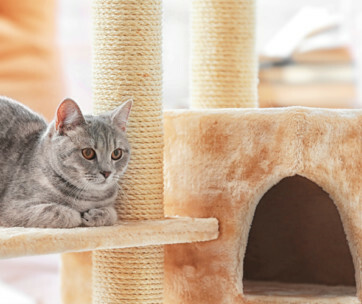 It’s a great way to entertain your cat especially when it cannot go outside because of bad weather or you simply don’t want your pet to be venturing elsewhere. It’s also an ideal solution to get your kitty up on its feet so that it will not grow like Garfield. 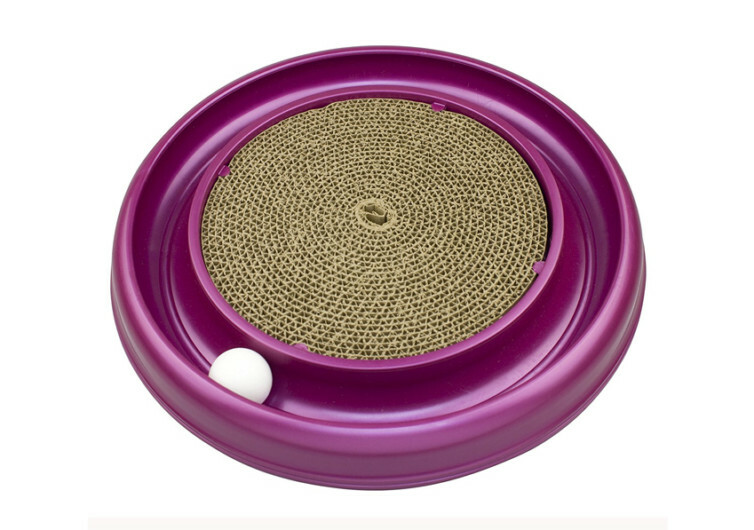 For pet parents, the Bergan Turbo Scratcher Cat Toy is more than just a feline plaything. It is a furniture-saver. Cats no longer have to sink their claws into expensive furniture since they can easily and safely do so on the Bergan.